A woman identified as Noor Jahan was injured when a bullet hit her foot, they said, adding, the injured has been admitted to Tangdhar hospital. 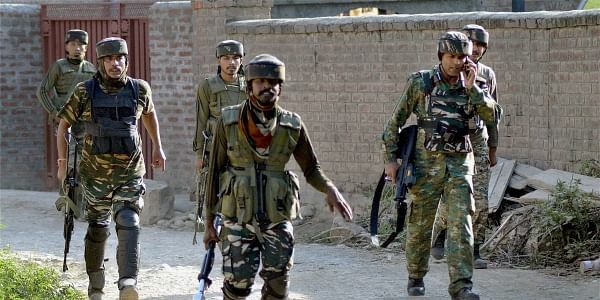 SRINAGAR: A woman was injured when Pakistani troops resorted to unprovoked firing from across the Line of Control (LoC) in Karnah sector in the frontier district of Kupwara late Thursday night, official sources said. They said Pakistani troops violated 2003 ceasefire and resorted firing with automatic weapons, targeting forward posts and villages on this side of the LoC in Karnah sector. Indian troops also retaliated and the exchange of fire continued for some time. Sources said that Pakistani troops are resorting to firing to help militants to sneak into this side. However, troops are on high alert to foil any infiltration bid from POK, where over 200 trained militants are waiting in launch pads to sneak into this side.